". 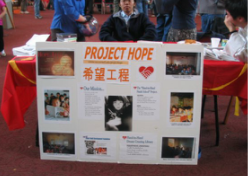 . . is a student organization dedicated to raising awareness and funds for improved education in rural China . 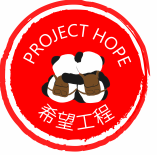 . ."
Through a variety of different fundraising events, we seek to provide monetary aid that can be used to purchase necessary school and medical supplies for primary school children in rural China. As part of a diverse campus with a variety of resources, we engage the support of the Cornell and Ithaca communities to aid us in our fundraising and advocacy efforts. We advocate for improved education in rural China. Our volunteers, some of whom have visited the schools we support, look into understanding these issues and educating the Cornell community about them.